Calvin Klein underwear with that classic logo waistband and breathable, moisture-wicking mesh fabric. 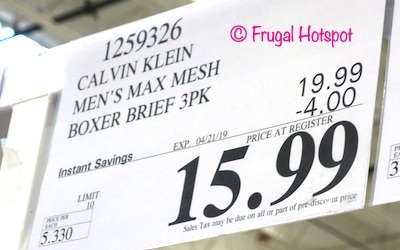 Select Costco locations have the Calvin Klein Men’s Microfiber Mesh Boxer Briefs 3-Pack on sale for $15.99 (after instant savings), now through April 21, 2019. 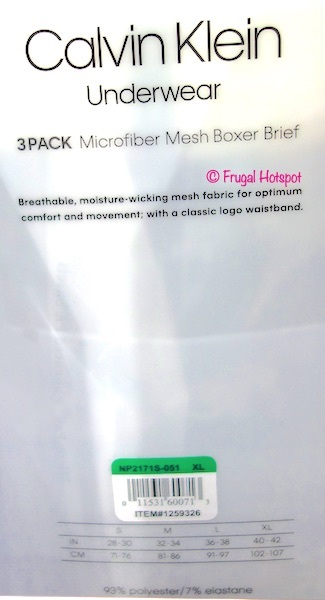 That is $4 off Costco’s regular price of $19.99. While supplies last. Item #1259326.